So with summer well and truly here, we thought it a good time to give our view on what’s big this season in the interior world. We have put together a list of the hottest colours, materials that are the next big thing and those here to stay, and the general vibe to get your interior looking on trend. The dark and moody look has really taken off and there are two ways to achieve it. Go all in with all dark walls – complete the look with dark velvet furniture and striking artwork or feature wallpaper to get an end result of a room with masses of character and really quirky feel. Grey tones and pastels – grey is still very much in but it’s evolving with what you put with it. The all grey look has been and gone and the current trend is to match it with pastel tones. This is a really calming feel for any room and is a modern take on this eighties look. Marble – this has been big for a while now but we are seeing different colours and more interesting marbles and stones. Carrara is your classic and still looks really good in any minimal interior but we are seeing braver looks such as black or even green marble. Terrazzo is making a come back. It was big in the seventies and the new trend is for more subtle colour versions or using a gentle tone that coordinates with other elements of the room. Concrete – the raw material has become a design classic in architecture but now we are seeing it used in so many different ways in interiors. The polished concrete floor still works for any type of space be it a modern home or a retail or hospitality space but there are almost endless ways to use the material. 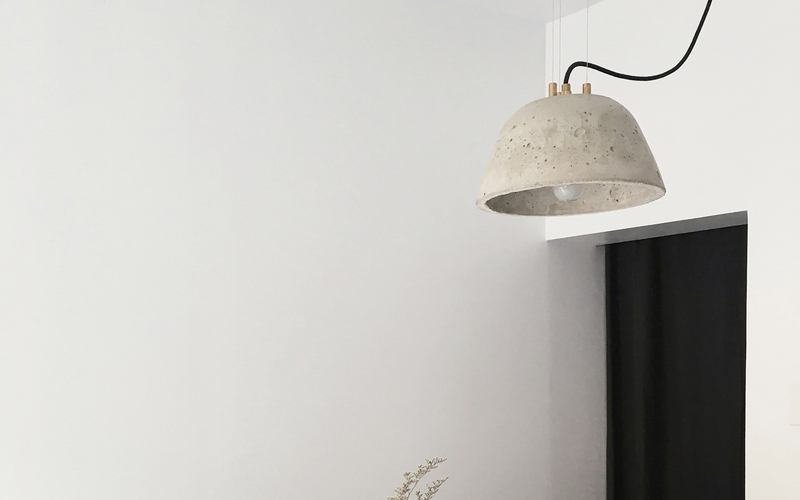 Using a concrete pendant light seems to have taken off and there are now many suppliers offering their own take on this quirky item. The beauty of the material is that it can a raw and unfinished or refined and elegant, or moulded with a pattern to add texture to any space. Velvet & Leather – Luxurious materials are being used more in design elements and fittings as we have better artificial materials that offer lower cost versions so you can get the look for any budget. Although remember you always get what you pay for so the real thing is more likely to last longer. Fringing – this is another seventies classic that is making a massive revival. Who would have thought it? Wall hangings, macrame plant pot holders and quirky finishing touches to upholstery are just the things to give an eclectic element in your home, office or even commercial space. Blurred boundaries – continuation of bringing the outside in and having spaces that open up to the garden or terrace and being created more and more. The latest trend to hit the home is houseplants. If you haven’t got any you are behind the times. The more you can pack in the better and if you aren’t green fingered then either go for cacti or succulents which are super easy to look after or there are some really good artificial plants from various suppliers. Blooming artificial do some great greenery. Crafted & Handmade – As we are being more conscious that we have to look after our planet and we consider the carbon footprint of anything we buy, local suppliers and manufacturers, artisans and craftsmen are seeing an increase in business. The crafted look provides a custom and personal feeling. 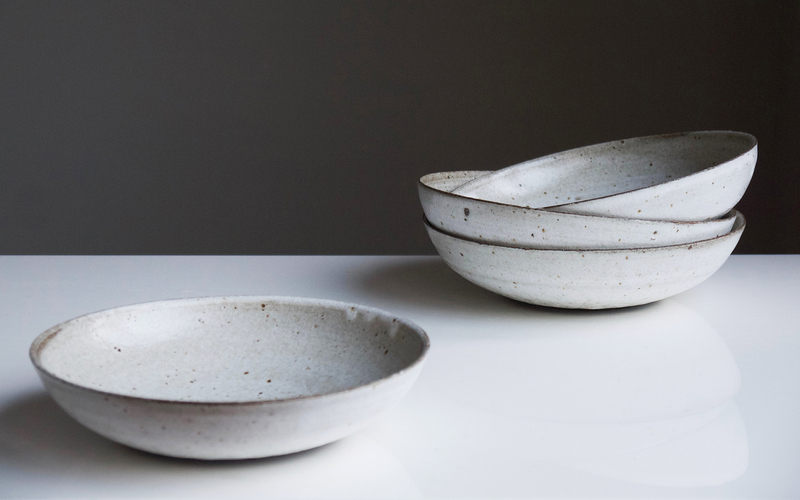 Handmade pottery will add a human touch to your interior scheme through in the way that is has been lovingly created. The world of interiors has a correlation to the fashion world in the way that things go in and out of fashion. Some elements we have seen before are given a revival but are kept fresh and given a different feel by putting them in different situations and combining them with other objects, materials or colours that have not been done before. The biggest tip this season is to be brave with your choices and what you put together. Go for that luxury fabric in that bold chandelier in brass to really finish off your space. Add some hanging plant pots to bring the outside in and give you the Mediterranean feel. 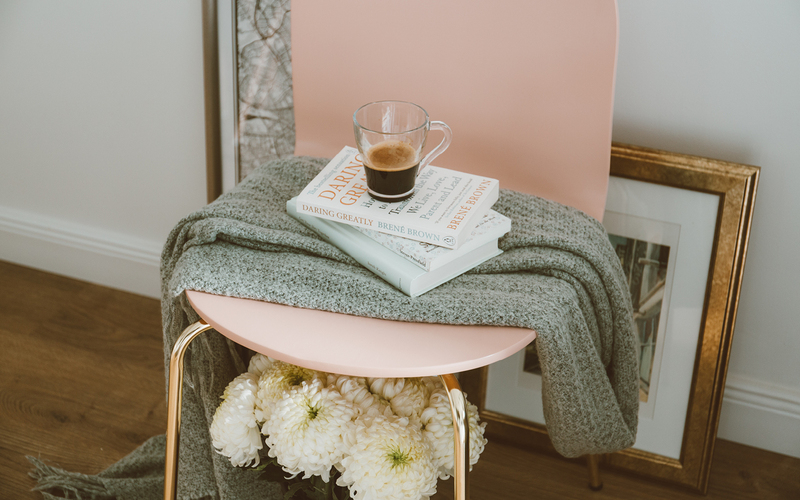 Be playful and see how rejuvenating your space helps you relax… At work and at home more so than ever we aim to create a little bit of calm from the busy world around us. Comfort and ease can be achieved by paying attention to your interior and choosing elements carefully that will create a sense of Zen.